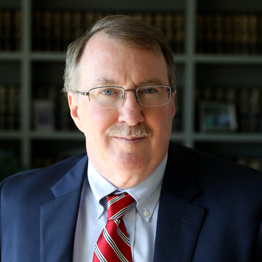 John White’s practice focuses on advising closely-held companies and their owners in business transactions, partnership matters, contracts, federal and state tax issues, and succession planning. He also represents individuals and businesses in audits and administrative actions concerning state and federal tax matters and collection efforts, and assists individuals with estate planning and probate matters. Mr. White has advised numerous regional and national clients on campaign finance matters, government regulation of political speech, and compliance with disclosure obligations. He represents business and political clients before government agencies and the courts. Along with firm partner Kevin Hansen, Mr. White heads up the firm’s appellate practice. Mr. White has argued before the U.S. and Washington Supreme Courts and intermediate appellate courts. He also has served as an Adjunct Professor in Golden Gate University’s Braden School of Taxation since 1992. Represented several smaller to mid-sized companies providing goods and services including architectural and engineering firms, a local air carrier, automobile dealers, and healthcare providers on a variety of legal issues such as corporate formation, partnership and limited liability company agreements, employment contracts, financing, acquisitions, and asset sales. Represented businesses and individuals before the IRS and state taxing authorities at all stages of the audit and collection process, and has achieved a successful resolution of tax disputes before the U.S. Tax Court. Retained as local counsel for national organizations regarding Washington campaign finance and public disclosure law. Represented individuals, businesses, political organizations and governmental bodies before federal and state appellate courts. Successfully defended political organizations’ First Amendment rights to speak on public issues and recovered for them fees from government agency; successfully challenged agency campaign finance regulation for exceeding its authority; argued on behalf of Washington’s major political parties before U.S. Supreme Court in litigation over Washington’s primary election system. Developed and implemented estate and succession plans for local businesses to pass active management to second and third generations in business. Assisted numerous clients in minimizing estate tax burden as they provide for family after death. For many years, John spent much of his free time trying watching his children’s athletic events, including stints as an umpire. More recently, John and his wife have taken up recreational cycling when they are not busy with their vegetable and flower gardens. Weather and light permitting, John often cycles to the office.